Posted on March 19, 2017 by Michelle M.
This month’s book is Extraordinary Chickens by Stephen Green-Armytage. 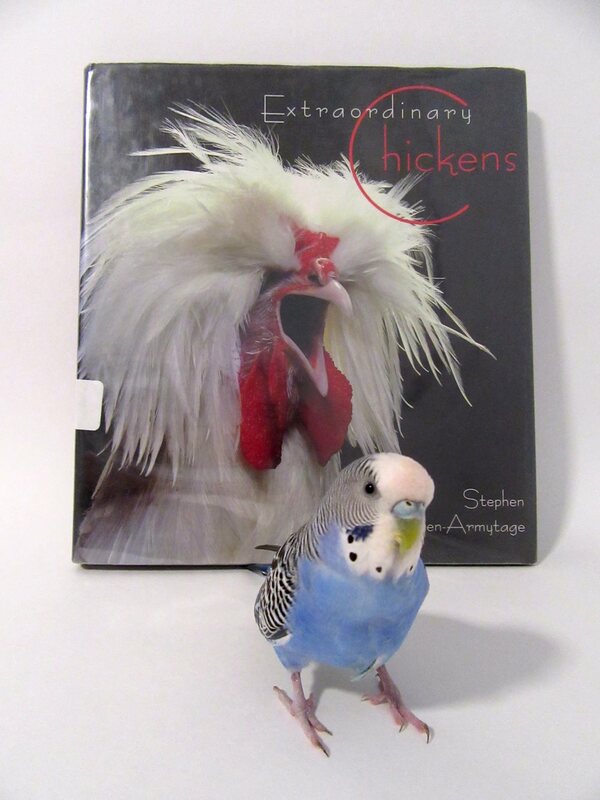 In honor of National Poultry Day, Cooper is reviewing Extraordinary Chickens. 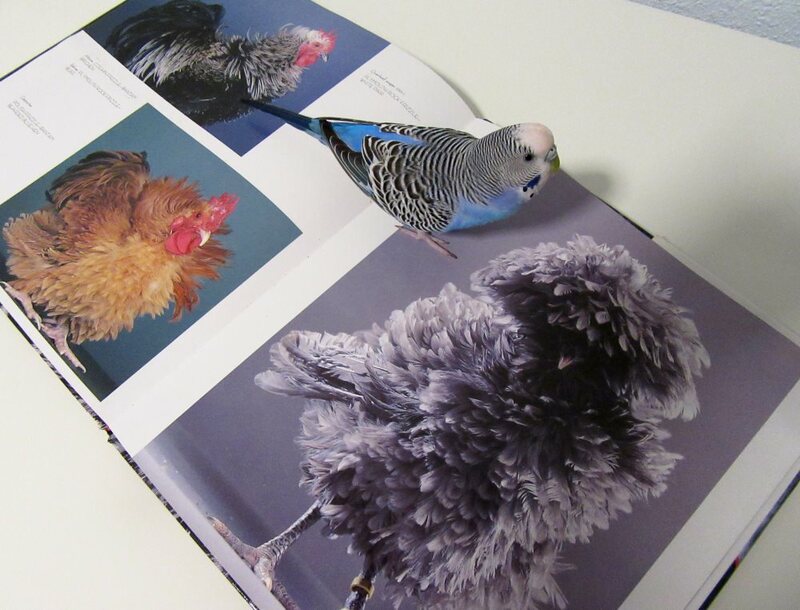 This is a book that showcases the beauty and amazing variety of the exotic chicken. There is some background on the bird and how the different strains came to be. There are also notes on the ornamental breeds featured in the book. But the beautiful photographs are the star of the show. Cooper had no idea there were so many types of chickens. Her favorites were the big fluffy birds. She also loved the gorgeous feather patterns of some of the chickens and the photos of the chicks. 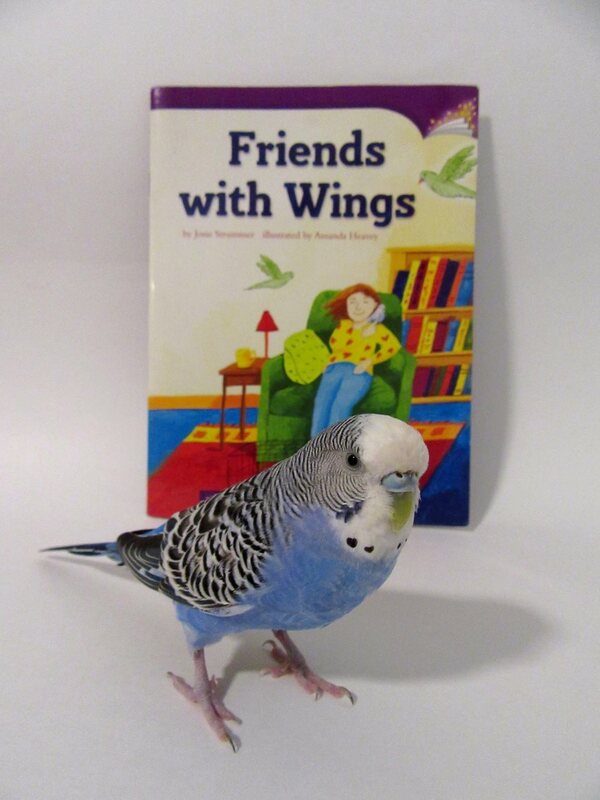 She highly recommends this book to bird lovers. It would make a great coffee table book and/or gift.Cooper thinks that chickens are indeed extraordinary. 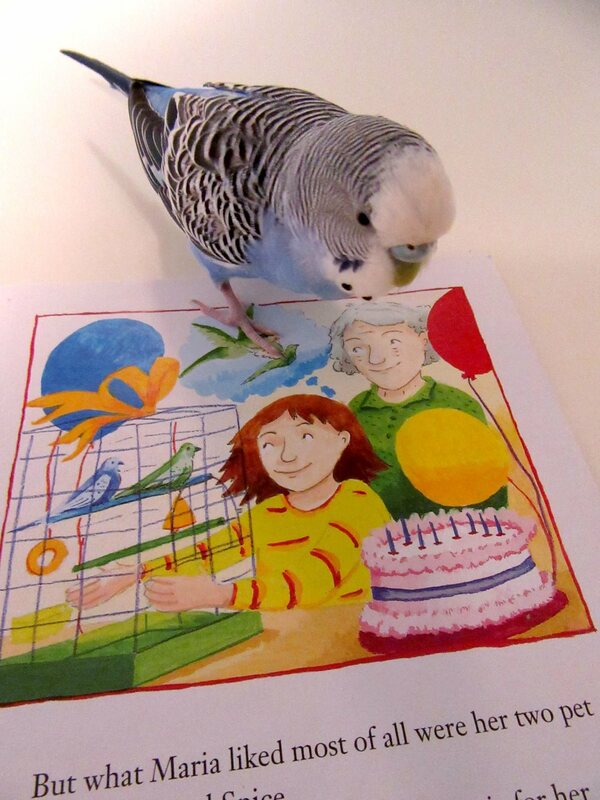 She also thinks that Extraordinary Budgies should be the author’s next book.